Czech and German Defence Ministers signed an agreement to conduct joint training. 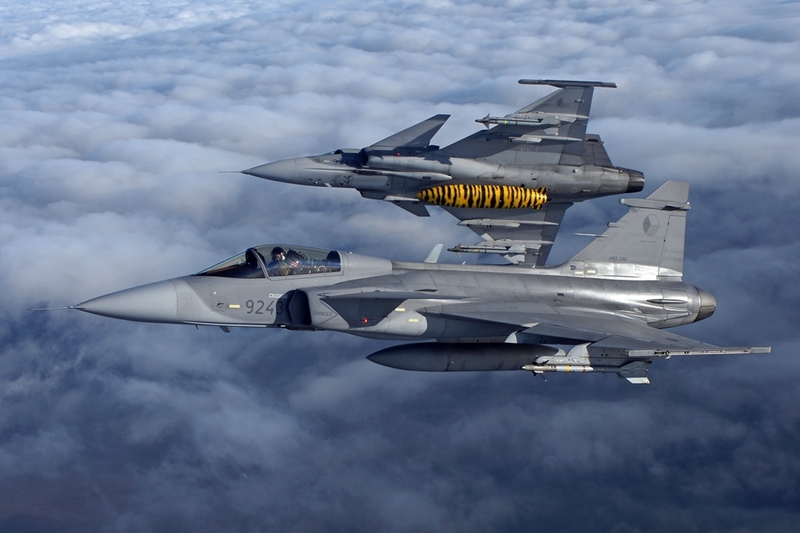 At the end of February, Czech and German fighters executed a joint training in the airspace of the Federal Republic of Germany. Two Czech Gripen fighters carried out aerial fights with two German Eurofighter Typhoon aircraft. The agreement to conduct the joint training regime was signed on 15 February in Brussels by the Czech and German Defence Ministers, Martin Stropnicky and Ursula von der Leyen. "The document confirms our resolution to create more intensive joint training scenarios and, at the same time, share our knowledge and experiences. Germany is one of our key strategic partners both inside and outside the NATO region," said Martin Stropnicky. The exercise was carried out to increase mutual cooperation and improve inter-operability between the armed forces of the two countries. The one-and-half-hour training consisted of three combat scenarios. The flights were carried out within the format of aerial combat manoeuvring 2 on 1, 1 on 1, and 2 on 2 combats. The joint training is being conducted once in every two weeks.